The Bears, Raiders and Colts are among the teams looking for new helmsmen after a busy weekend in coaching news. 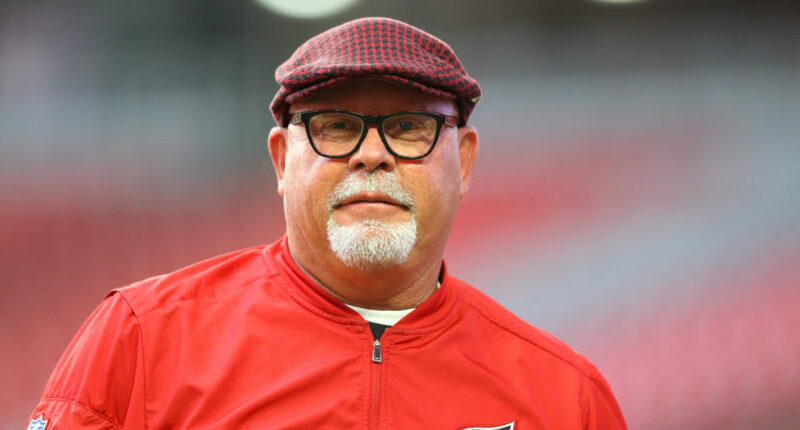 Arizona Cardinals — With Arians hanging up his whistle, the Cardinals must replace arguably the most successful coach in franchise history (albeit one who seemed to have lost some of his magic). Chicago Bears — The Bears fired John Fox on Monday morning after a third straight last-place finish in the NFC North. After reaching the Super Bowl in his two previous stops, Fox went only 14-35 in Chicago. Detroit Lions — Detroit parted ways with Jim Caldwell on Monday morning, ending his four-season reign. Caldwell had the best 2017 record of any deposed coach, and it’s hard not to think if the 9-7 Lions had won another game or two and snuck into the playoffs, he would still have a job. Indianapolis Colts — Chuck Pagano got the ax on Sunday, after six seasons at the helm in Indianapolis. A 4-12 campaign this year cost him any good will built up by three 11-win seasons to start his tenure. New York Giants — This one is old news. The Giants canned McAdoo nearly a month ago, amid a disastrous 3-13 season. Oakland Raiders — The Raiders waved good-bye to Jack Del Rio on Sunday, a year after a 12-4 campaign, and will reportedly replace him with Jon Gruden. Cincinnati Bengals — Marvin Lewis, the second longest-tenured coach in the NFL, may finally move on from Cincinnati. Lewis’ contract is up following a 7-9 season, but the Bengals reportedly had not made a decision as of Monday. Houston Texans — On the heels of a 4-12 campaign, Bill O’Brien clashed with GM Rick Smith, who is now on leave to be with his wife as she undergoes cancer treatments. ESPN reports O’Brien will likely be back. Barring a surprise firing, it looks as if between six and eight teams will enter the offseason in search of a new coach. That list could have been longer, but the Browns (Hue Jackson), Broncos (Vance Joseph), Bucks (Dirk Koetter) and Redskins (Jay Gruden) all decided to retain their respective coaches. Over the coming months, expect to hear rumors floating around Patriots coordinators Josh McDaniels and Matt Patricia, Eagles defensive coordinator Jim Schwartz, Texans defensive coordinator Mike Vrabel, Vikings offensive coordinator Pat Shurmur, Panthers defensive coordinator Steve Wilks and so many more. Fasten your seat belt, because the NFL’s coaching carousel moves rapidly.